In fact, CodeIgniter is considered as the most demanding framework in PHP as well as highly popular in developers’ community. It’s also known as Micro PHP Framework. PHP coders consider CodeIgniter as a simple and elegant toolkit to create full-featured web applications. This lightweight core system needs only small yet powerful set of libraries and additional libraries are filled dynamically as per the requirement in development process. For the unbeknownst, this framework has simple application programming interface (API) and logical structure so that the libraries and database can be accessed. Through MVC pattern, you get simple and clean development that paves way for great separation between logic and presentation. Simple functioning: In case you need any features from one party to other party, then CodeIgniter can help you in easily dropping class features. Secure Development: CI Framework is among the secure, smooth way development platforms that the developers can configure broad varieties of product and gateway system. Easy to validate forms: Validation class support by form Validation class has a set of rules that get defined and assigned to the validation object. This automatically validates the data passed via the URL or form. 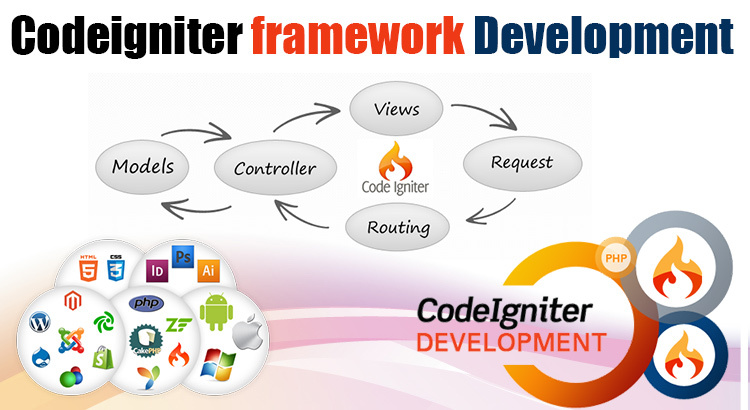 Noteworthy documentation: CodeIgniter Development presents a comprehensive list of all components with each method’s well designed documentation. Custom Web Application: You need to come up with a basic set of features in order to develop custom web applications services so developer can easily build web application needed by the customer. Powerful PHP framework: This open source rapid development web application and dynamic website development framework is built in PHP technology. Flexibility: It’s helpful in coming upon simple solution to complex multi functional web application like eCommerce websites. Zero configuration sans restrictive coding rules helps in migrating data from server to host. Model View Controller (MVC) Approach: CI PHP framework handles model, Controller, View – Controller needs to be loaded in order to access information. View and controller classes are essential part of development while model are optional for development process. Fully-featured web applications: CI web framework helps in building dynamic website at faster footstep. Thus you can Hire CodeIgniter developer that will help you in implementing best web applications according to your business needs. No restrictive coding rules: The rich set of library inbuilt common set of task provides finest fast project development. You can successfully experience high performance and expandable CodeIgniter web development services that do wonders to your business and personal website. 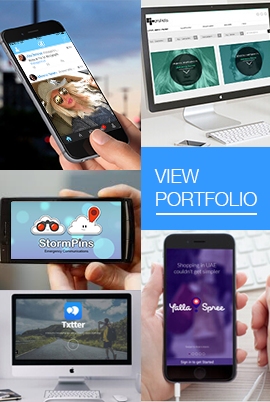 Highly professional in approach, our developers are well-efficient at understanding the client requirement and build secure and fully functional web design. We specialize in PHP based projects and our expert developers can solve all custom requirements for rewarding business solution.